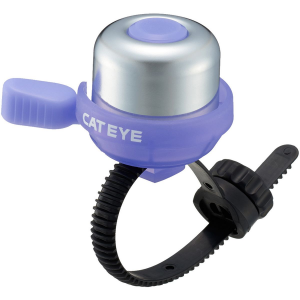 Let other trail and path users know you're coming up fast with the PB-1100P Bell with FlexTight Mount from CatEye. This loud bell (~ 60 db) is made of brass for a clean ring and solid resonance. It utilizes the FlexTight band for easily mounting to any handlebars 19 to 32mm in diameter. Tons of color options in this bell to match your bike.